The SLA Knowledge Management Division has been having a lively discussion regarding KM certification via the listserv that members are automatically subscribed to when joining. This division is relatively new to SLA but, if the programs at the annual conference and the traffic on the listserv is any evidence of success of the division , it is well worth the membership dollars. While SLA offers cerficates in KM, some members in the division question how their organizations will view the certificate. Will management accept it as validation of education and experience? With this question, the group has started to discuss what other certification programs exist. While this seems like a simple discussion, it could lead the group to discussing whether certification is even worth pursuing. I’ve learned what I know from 20+ years in the trenches with a lot of trial and error so will most likely not seek certification at this time. I have, however, thought that pursuing a certificate in KM would be useful to those starting out in the field where they are expected to hit the ground running, knowing enough not to make the same mistakes that those of us, who have been working at this for a while, made in the past. 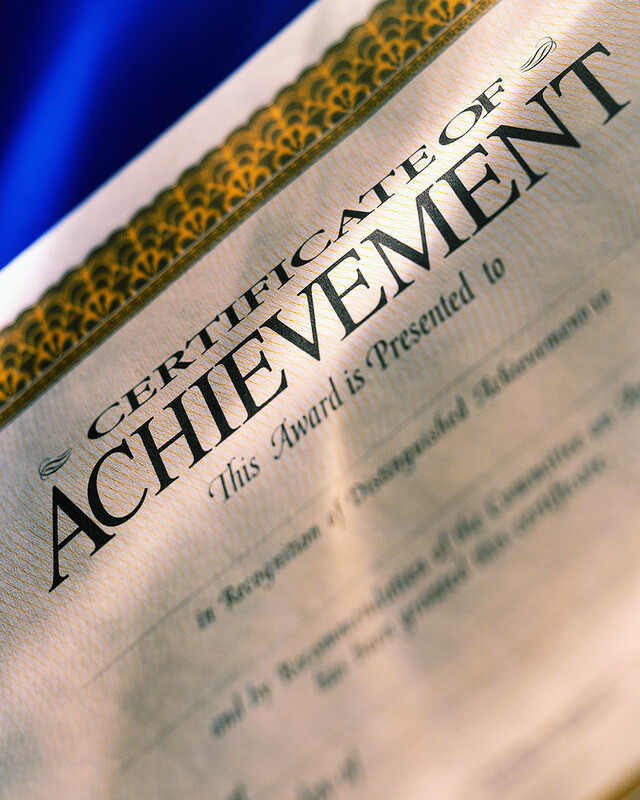 At the same time, earning a certificate, does not necessarily make one certified. One member of the group pointed the rest of us to a recent blog post by Stan Garfield in his Weekly Knowledge Management blog which is part of HP Communities. His post on KM Certification is in the form of a question and answer. The question, “What are his thoughts on certification?”. His answer provides links to certification vendors and opinions put forth by seasoned KM practitioners including Patrick Lambe, Dave Snowden and David Gurteen who come down on the side against certification. Dave Snowden’s quote, “I am totally opposed to any attempt to certify people in a developing field such as KM.” from his Cognitive Edge blog. At the same time, he offers an accreditation program based on Cognitive Edge methods. Certification vs Accreditation? That’s a topic for another post. Another quote by Dave Snowden addresses KM experience, “True Eureka innovation is not going to happen by an internal training programme but from engagement in the real world.” I’ll stop here as I really haven’t spent enough time researching this topic to be able to make a decision one way or another or to understand the nuance of being certified or accredited in this context, nor would I attempt to argue points made by the experts referenced in the paragraph above. My parting thought? While we do need to train newcomers in the theory of KM, practical experience can not be replaced and is often more valuable. When I’ve taught Knowledge Management in the past, my focus was more on experience than theory. A potential employee who can provide a certificate will make me take notice, but, unless that certificate is accompanied with experience, the candidate would be limited to very entry level positions in my organization and, finally, I would never equate having certificate with being certified. Categories: Knowledge Management, Professional Development, Skills Development | Tags: Certification, KM Accreditation, KM Certification, Knowledge Management Accreditation, Knowledge Management Certification | Permalink.